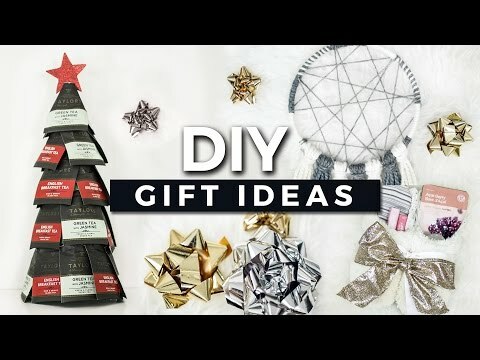 With the holiday season kicking into high gear, millions of viewers are turning to YouTube for gift ideas and decoration DIYs. While the holidays are a time of giving, many people also look forward to receiving a gift they’ve been looking forward to. Though you can’t give every subscriber a present, you can give them all a chance to win one with a special holiday giveaway. 1. Choose a holiday that’s important to you. If you don’t celebrate Christmas, then you don’t have to make it a Christmas-themed giveaway! Choose a holiday that’s important to you and your culture, such as Hanukkah or Kwanza. Your subscribers who are of the same background will appreciate the recognition and share the giveaway with their friends and family. Other viewers can use your giveaway as an opportunity to learn about another culture. Last year, this vlogger announced a giveaway after teaching her viewers a few Hanukkah DIYs. Because this is a holiday giveaway, be sure to keep your prizes on theme. When you’re deciding what to put in your giveaway, consider your content niche as well. For example, while any viewer may appreciate the chance to win a new laptop, a beauty vlogger’s audience would be especially excited about winning Too Faced’s holiday makeup collection. Keep your prize within your budget, too. Don’t go overboard in hopes of attracting a lot of attention to your giveaway. As long as the prize is of personal significance, such as your favorite Christmas candy or a gift card to your favorite store, your viewers will look forward to winning. To make it even more special, consider making the prizes yourself. If you handcraft a few ornaments, cards, or decorations, then you’ll be able to have more winners and make the giveaway feel more personal. 3. Write out clear parameters before posting anything. While your giveaway is still in the planning stages, write out the rules you want participants to follow. How are they going to enter? How long will the giveaway last? How will you decide who wins? After writing out your rules, look over them thoroughly. Have a few other people look at them if you can as well. If you’re unsure where to begin, then check out a few giveaway posts on Instagram, like the one below. The influencers who host the giveaways spell out the rules very clearly in their captions. 4. Make the announcement in a video. 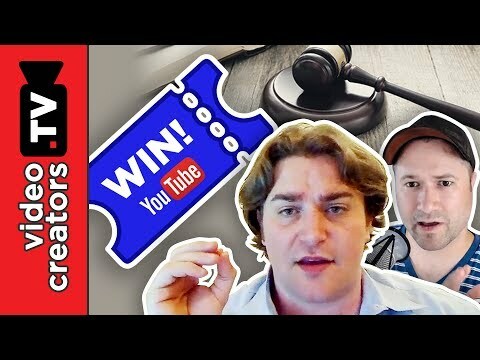 In order to use the giveaway to grow your channel, announce it in a YouTube video rather than on Instagram or Twitter. You can either dedicate an entire video to the giveaway, use the announcement as your hook, or keep it as a surprise until the end. There are two important things to include in your announcement video. First, tell your viewers that they must be subscribed to your channel in order to be eligible for the giveaway. Secondly, explain how you’re going to contact the winner so that your viewers won’t be led astray by scammers. You may ask them to comment their Twitter or Instagram handles under the video so you have an easy way to contact them. 5. Contact the winner promptly. Finally, after the giveaway has closed, contact the winner as soon as possible. If he or she doesn’t respond within a week, then you should choose a different winner. When the winner responds, ask for his or her mailing address so that you can send the prize through the mail. After you’ve written the address down, delete that part of the message to protect your fan’s privacy. The holidays are the perfect time to give back to your viewers. Holding a holiday giveaway can grow your channel and spread joy to your audience. Kristen Harris enjoys listening to a wide range of music, from Taylor Swift to, on occasion, Celtic instrumental. She also spends her time writing, reading, and baking. Why is Digital Marketing so Important for Business in 2019?